Longcom plastic building area inspection chamber adopt the European and China standard, all products meet European standards and China's urban construction industry standard (CJ/T233-2006 building area with plastic drainage inspection Wells, company research and development of plastic check well fully absorbed the advantages of plastic inspection Wells at home and abroad, structure is a domestic initiative, Longkon technology level of development of plastic inspection Wells is the domestic leading level. 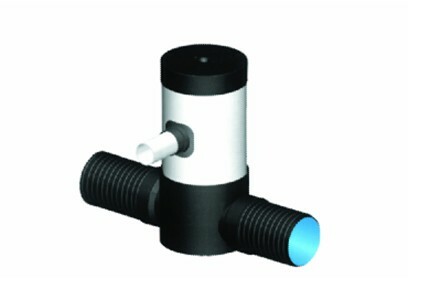 Hollow wall and sectional structure, reduce the production cost and facilitate the transport and on-site assembly;Key components adopt original cone combination of technology and the winding pipe structure, realize the well chamber and wellbore organic transition;USES the socket connection between pipe and inspection Wells and water swelling rubber ring seal, convenient for pipe connection with different materials, and rapid construction and ensure the sealing;Plastic composite structure to improve the bearing strength of the product, to ensure that the design life of 50 years. Self-directed developed FRP reducing mold, lining of UPVC pipe winding equipment, cutting machine, such as equipment, has solved the key forming technology, realize the scale, specialized production, thus greatly improve production efficiency and improve the reliability of products processing site installation is more convenient and quick. Longkon brand plastic inspection Wells using UPVC reinforced composites, such as glass fiber reinforced plastic resin and quartz sand, improve product performance and reduce the cost greatly. 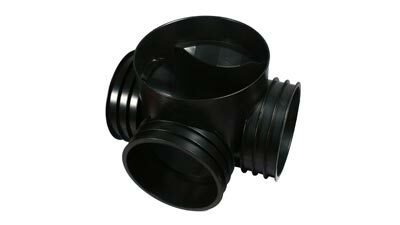 Through the material optimization and structure optimization, using way of winding molding Long Kang card plastic inspection Wells has obvious cost advantages: in the field of municipal, compared with specifications injection moulding products abroad, cost only a quarter for it;In the field of construction, is slightly lower than cost of traditional same manhole . A: compared with traditional ,our products more durable, and can enter the hole easly cleaning. 2: the base adopts advanced bone structure, and through the horizontal and vertical pressure testing. 3: community manhole and cover can use solid wall pipe, winding pipe, wellbore part can be arbitrary hole connection pipe, easy in construction field connections and can be arbitrary adjust the height.Well base can be arbitrary hole according to need, to adapt to the different diameter of pipe, high density polyethylene (PE) products, corrosion resistance, wall smooth, greatly reduces the blocking phenomenon. 4: advanced structure under high traffic load. 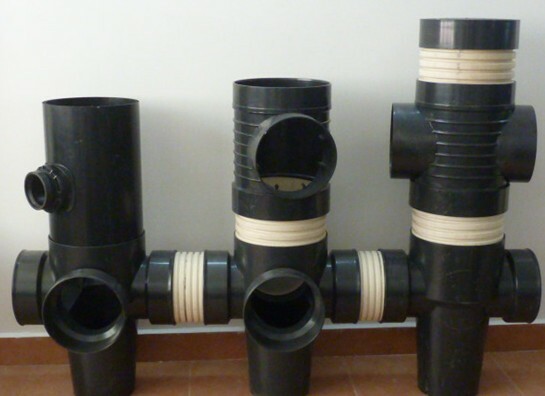 5: adopt flexible connection rubber ring, to ensure that the subsidence caused by the leakage problem completely. 6: adapt all buried pipe connection. 7: low comprehensive cost, recycled recycling. 8: safe and reliable, long service life. 9: energy-saving and ground-saving, in line with the basic national policy of sustainable development. Main application area : building area inspection Wells, parks, public buildings, plant area of drainage system such as inspection, cleaning and maintenance. No more than 6 m, fit well operation of plastic drainage inspection well engineering design, construction and maintenance. 2, general soil, soft soil ground, seasonal frozen soil and collapsible loess soil under the condition of plastic drainage inspection shaft construction. 30 t (6 t) rear wheel pressure design.